The diversity and adaptability of DCI’s SoundSport and DrumLine Battle were on display at events in Ireland and England, pointing to the future for musical competition in Europe and beyond. With more than 100 events between June and August, the DCI Summer Tour is sure to be full of drama, excitement, and artistry. And if 2014 is anything to go by, a season full of surprises awaits. Pinpointing the parts of a marching tuba. Former “Blast!” cast member Tim Heasley recounts the founding of Open Class corps Golden Empire. 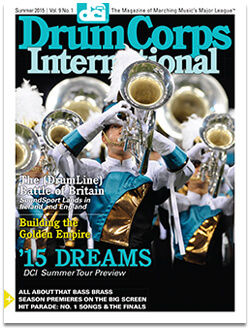 How has music changed since DCI began? Check out this list of Finals Week No. 1 hits. Get out of the stands and onto the field ... Kick Start the summer of 2015 … Remembering Dr. K … The Tour Premiere goes live! 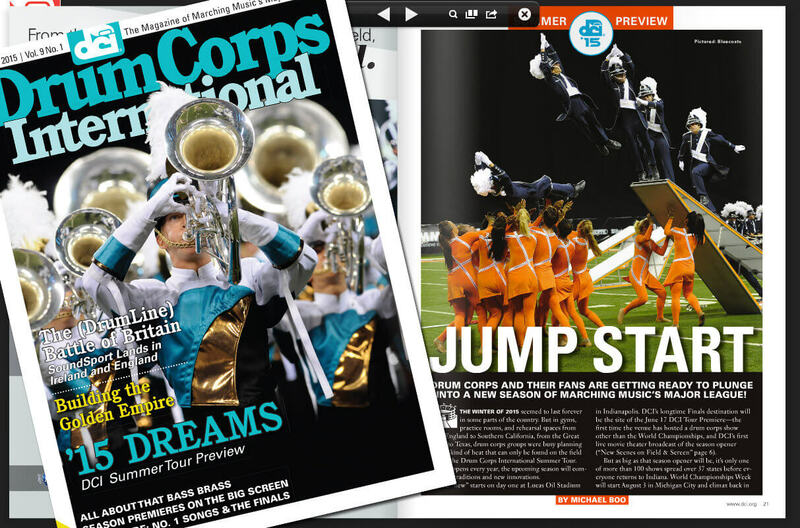 … A DCI alum gets “Whiplash” … and more!